Had training in Riga, Berlin, France, Prague. 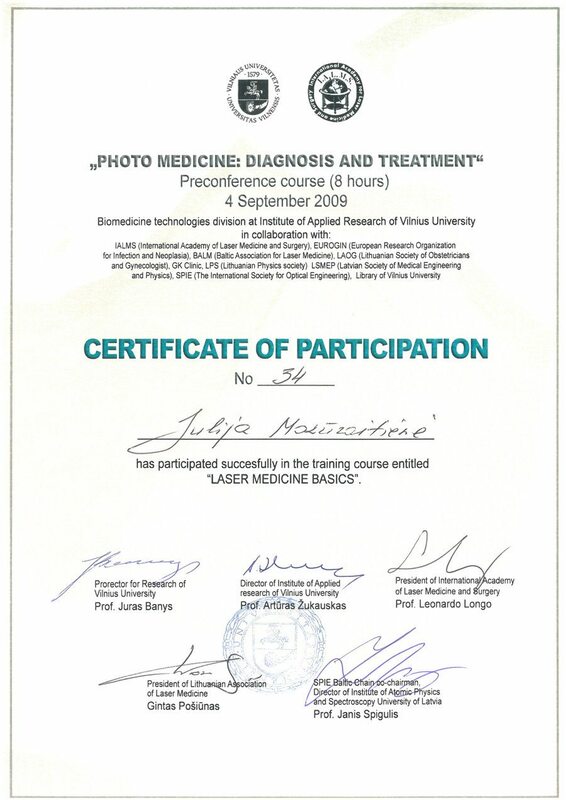 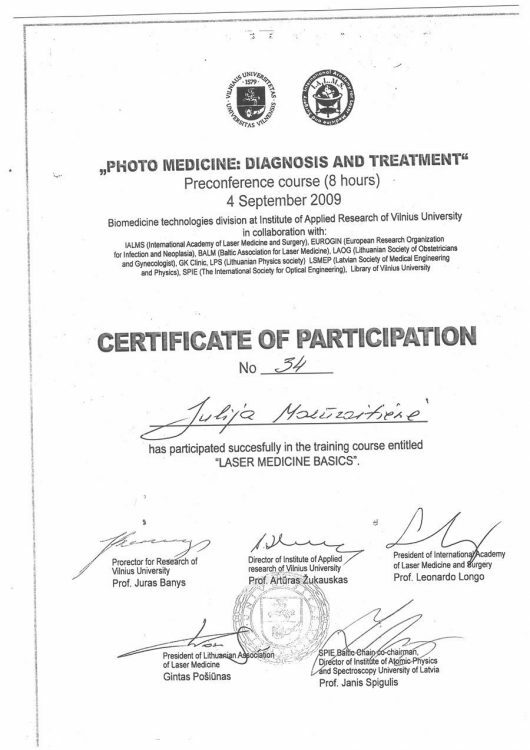 Studied and attended trainings of medicine procedure performance provided by Lithuanian, Russian and Brazilian doctors. 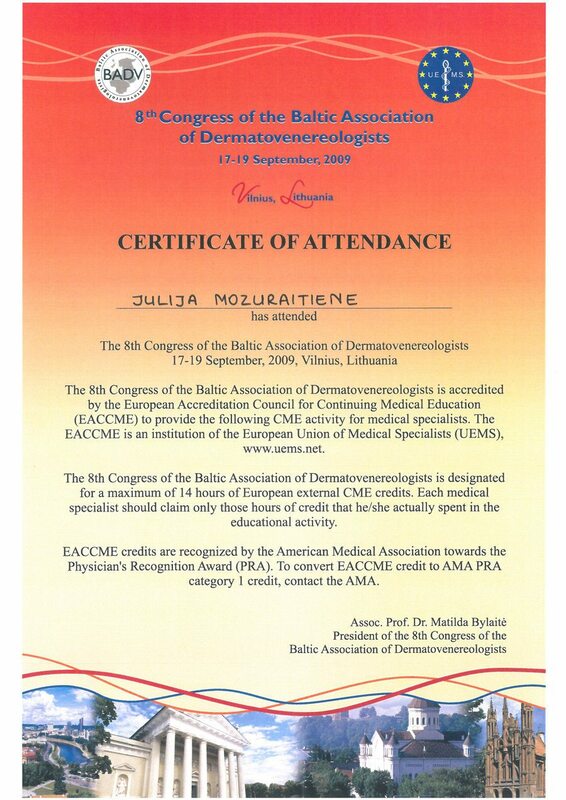 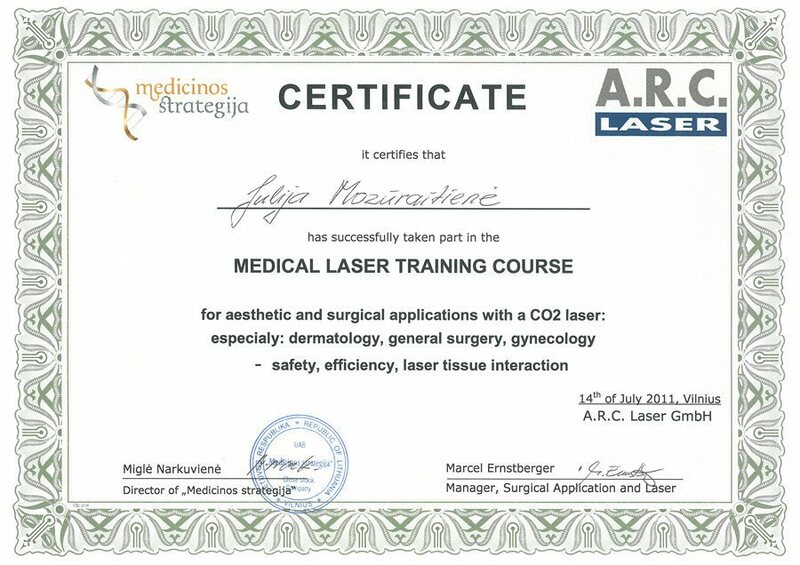 Dermatooncology, aesthetic dermatology, laser surgery. 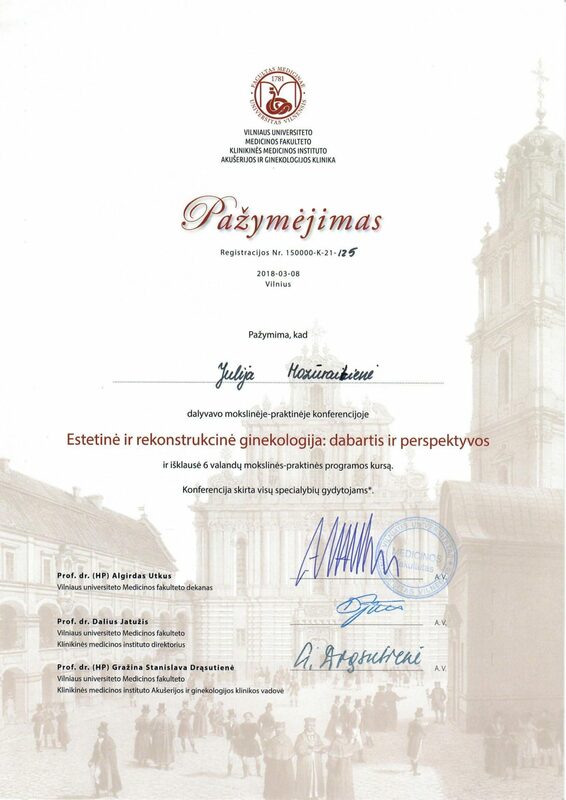 Completed internship at the University of Vilnius. 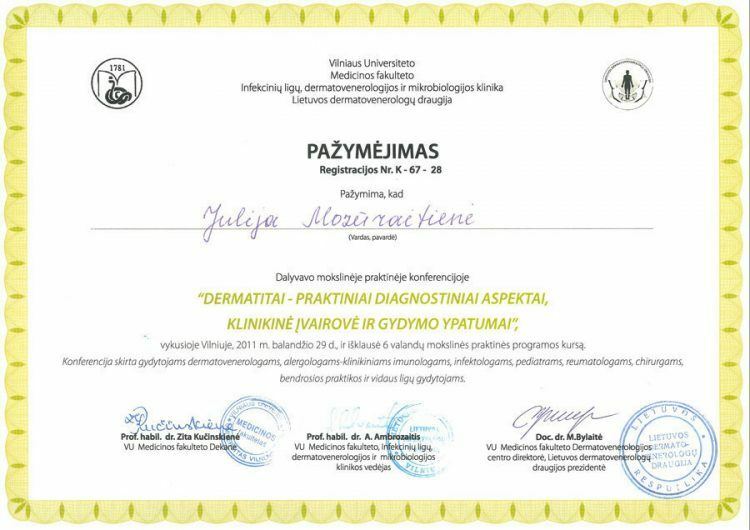 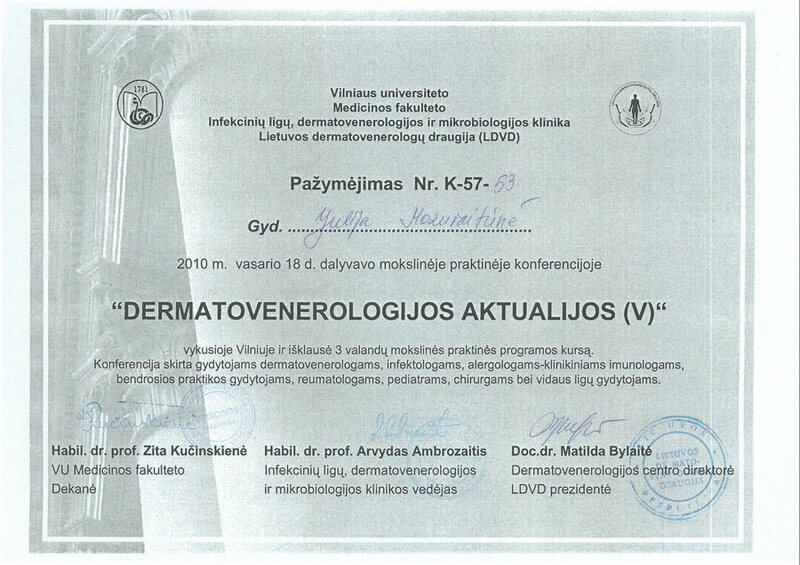 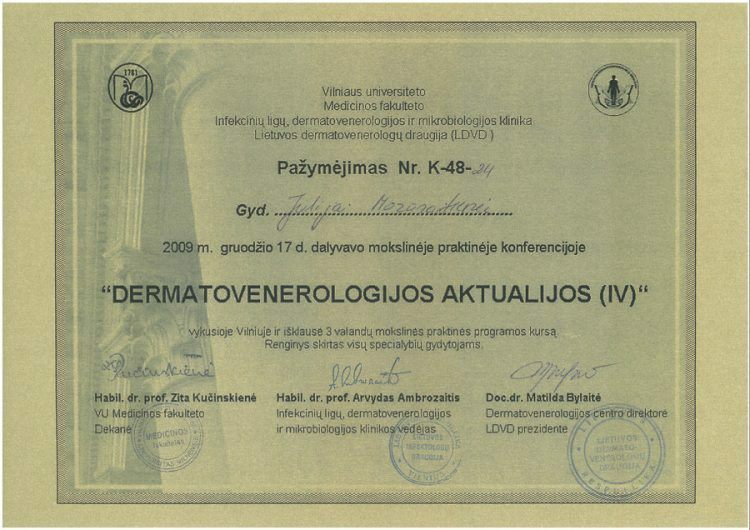 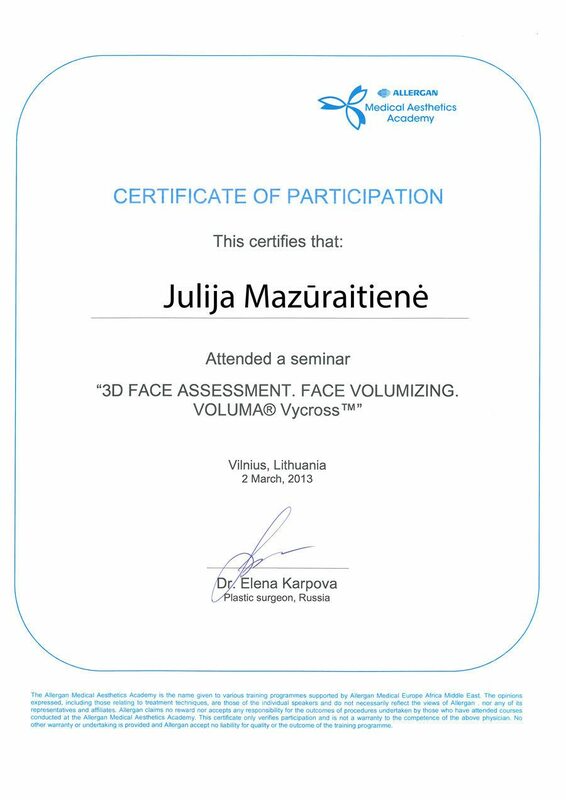 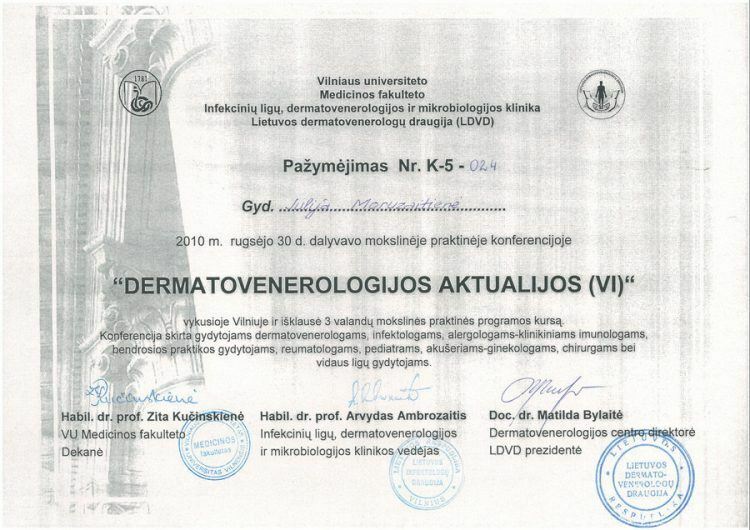 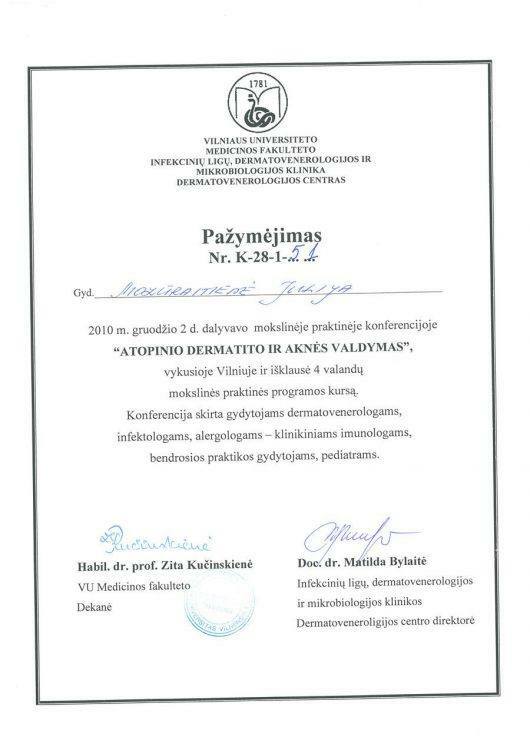 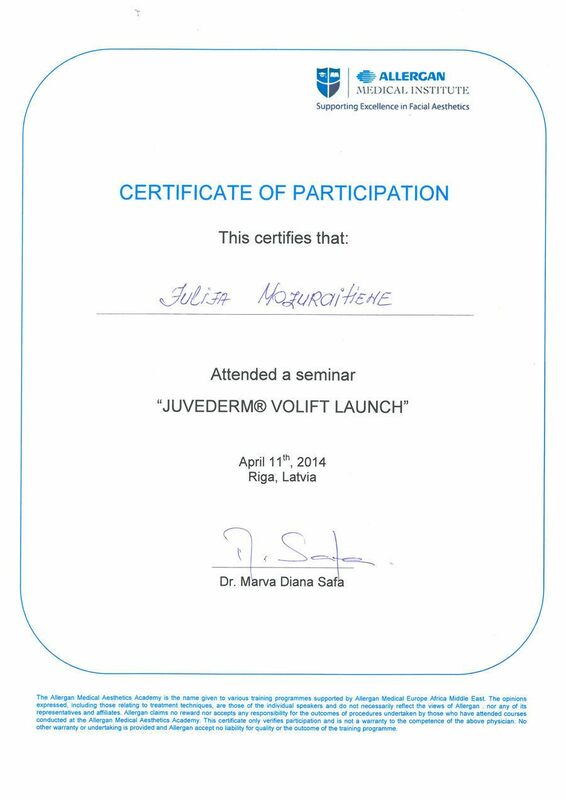 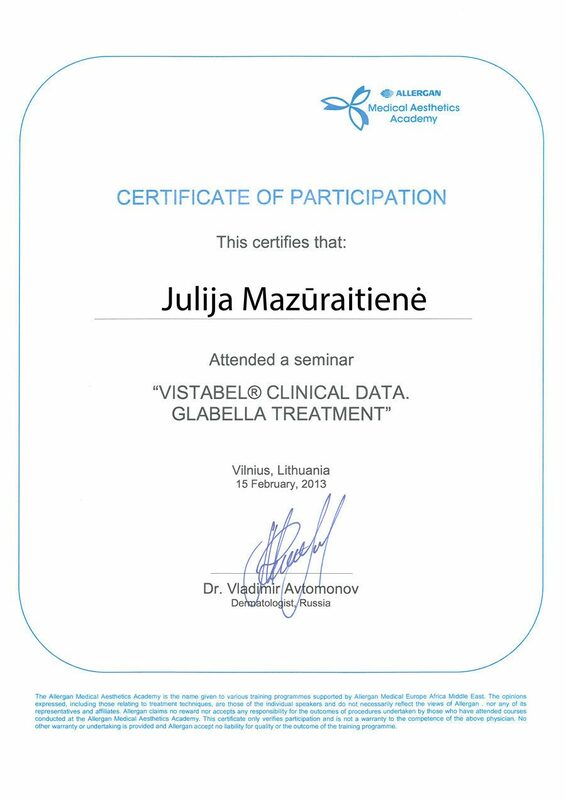 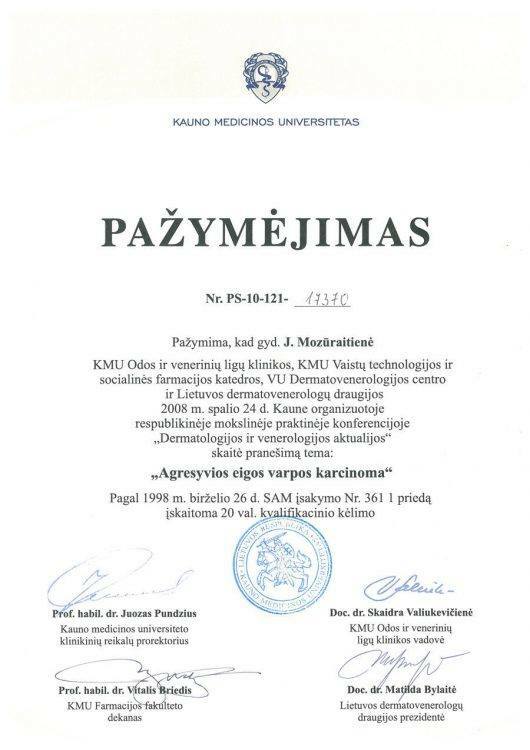 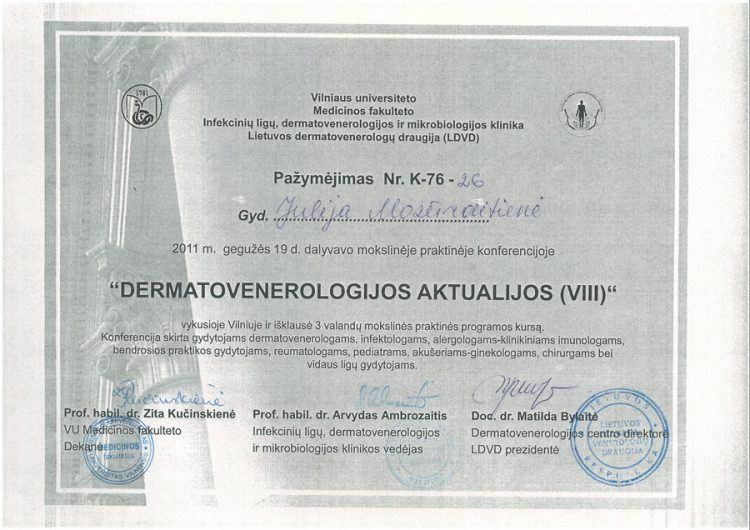 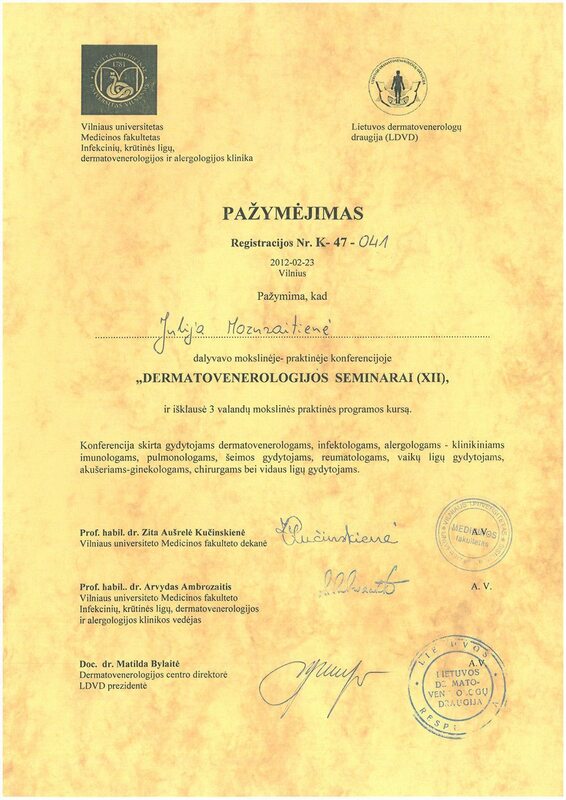 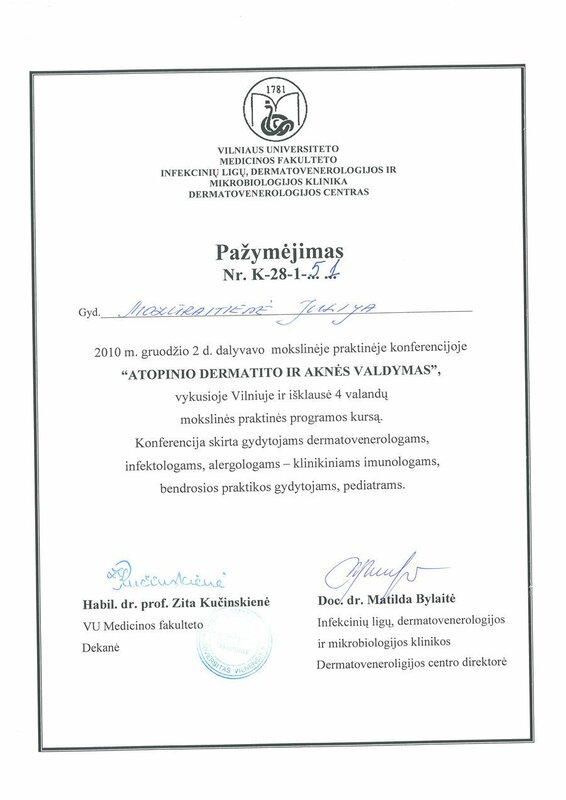 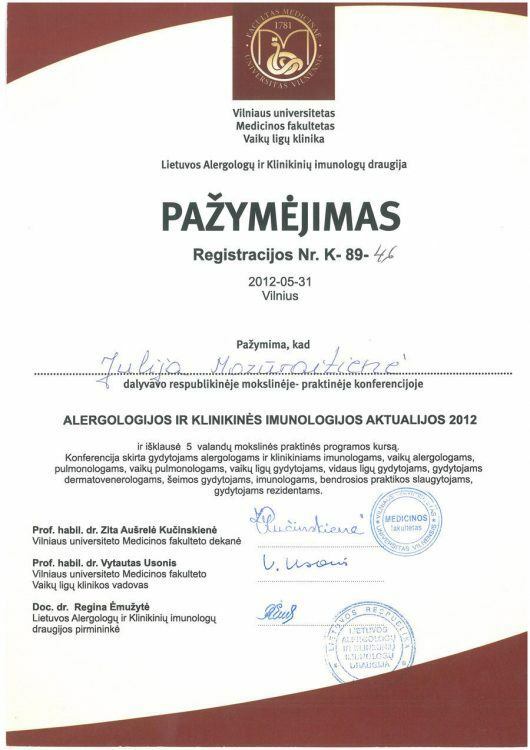 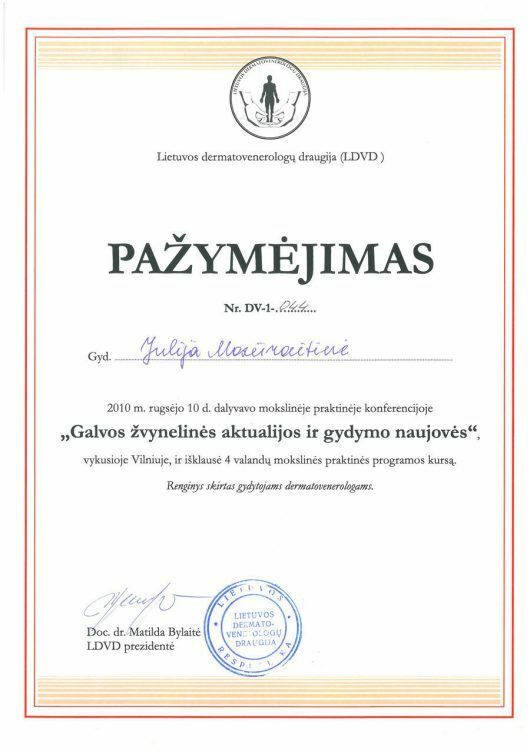 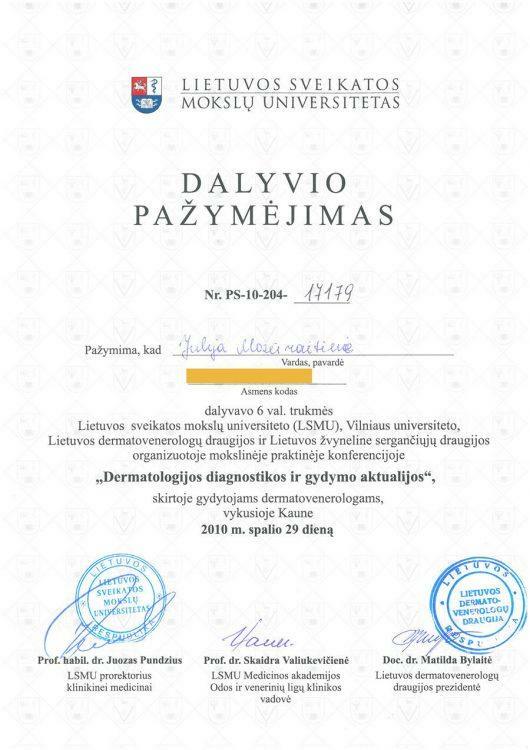 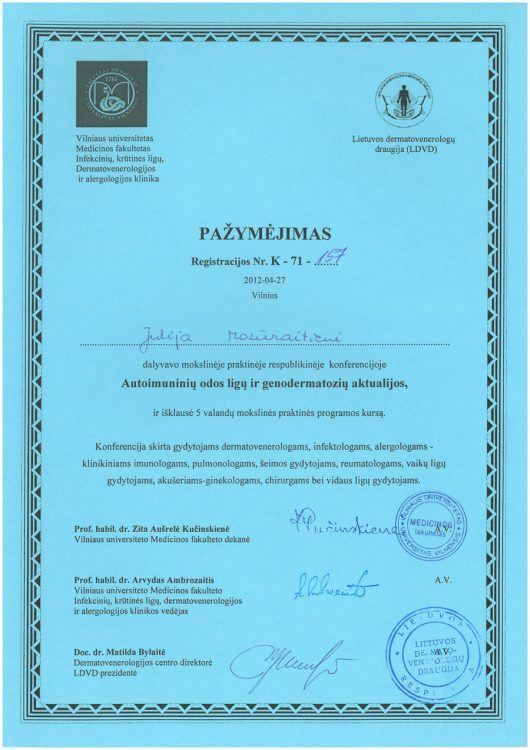 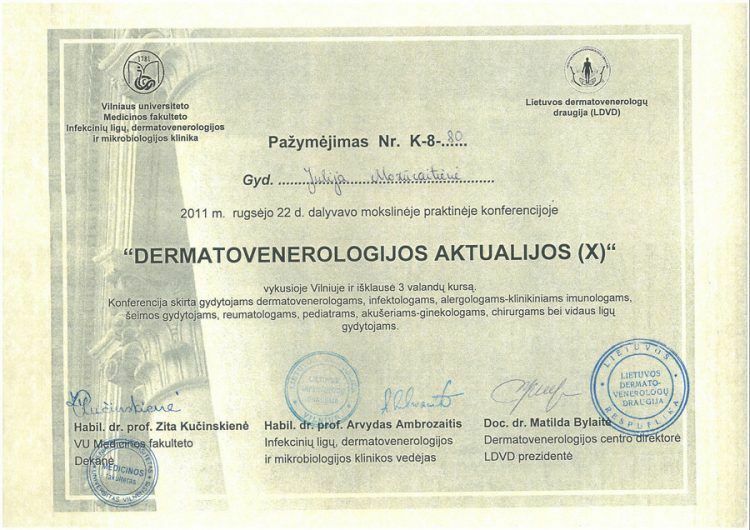 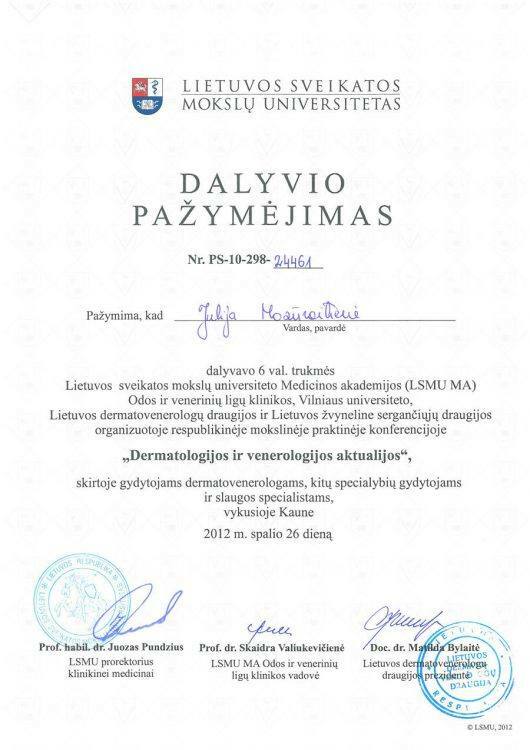 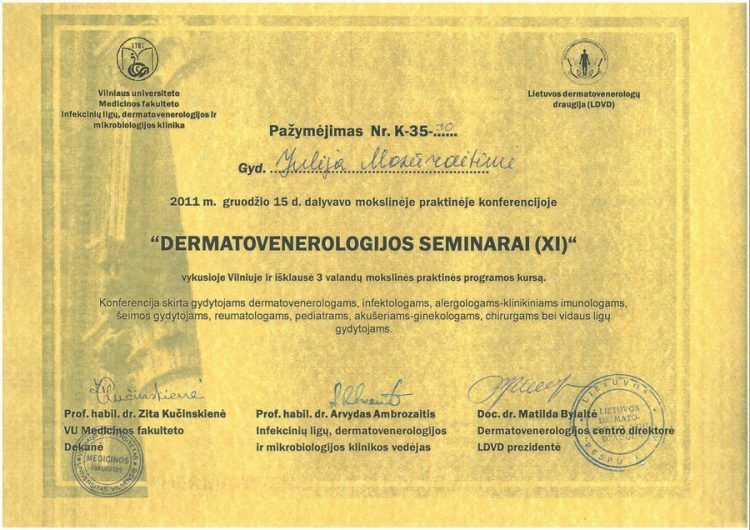 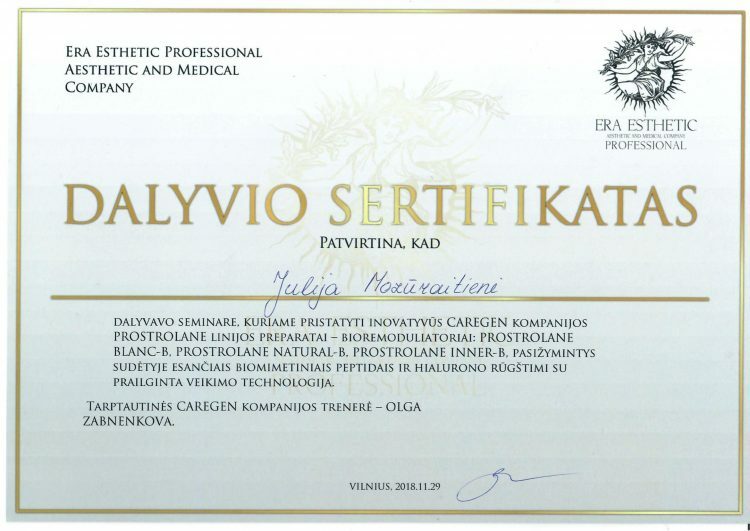 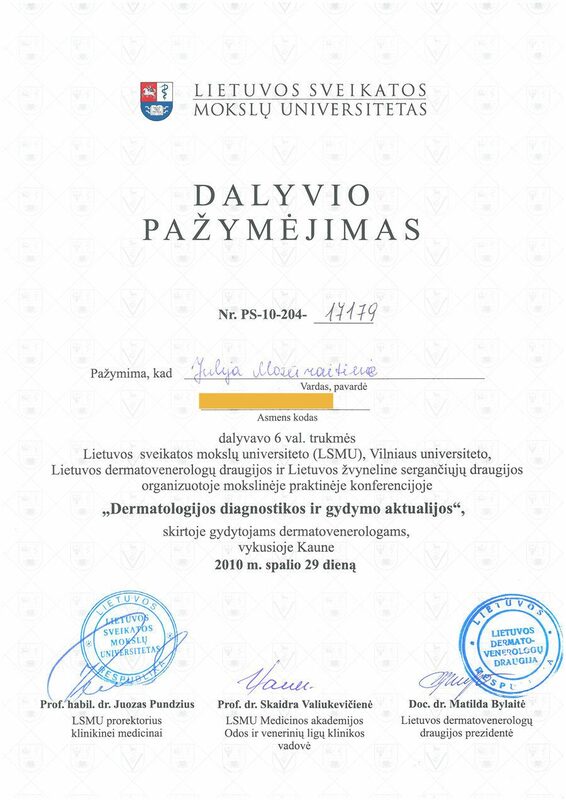 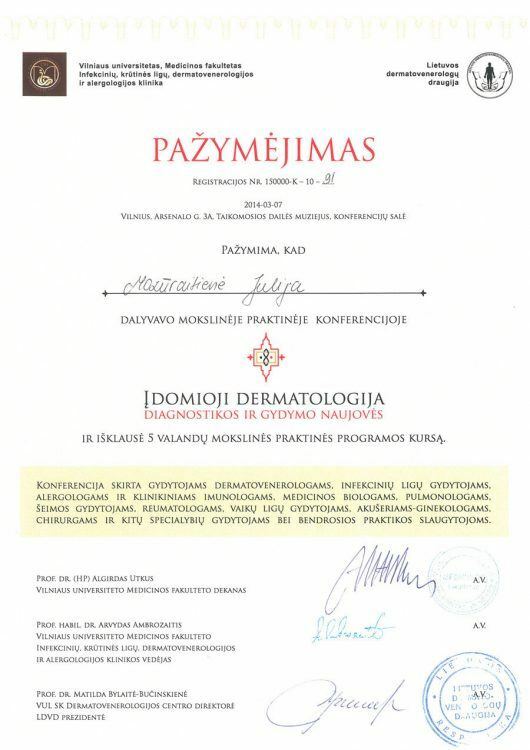 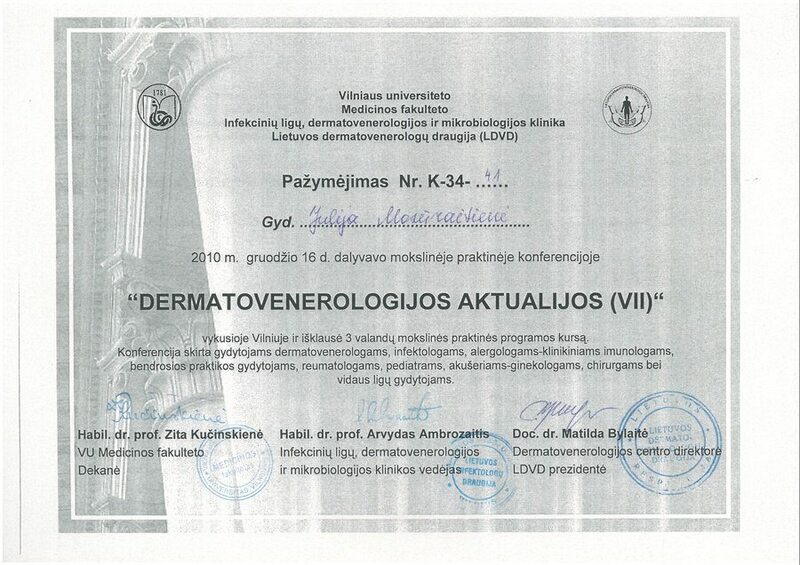 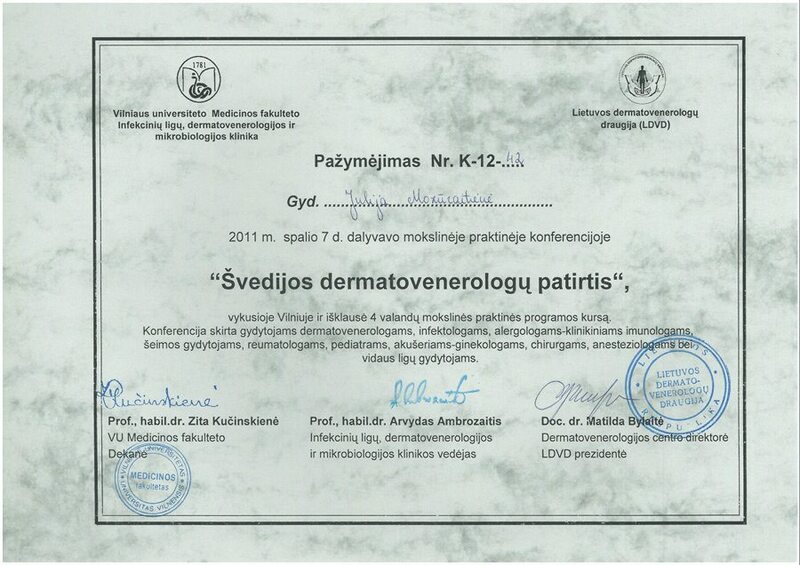 Completed dermatovenereology residency at the University of Vilnius, in the Dermatovenereology centre of VUHSK. 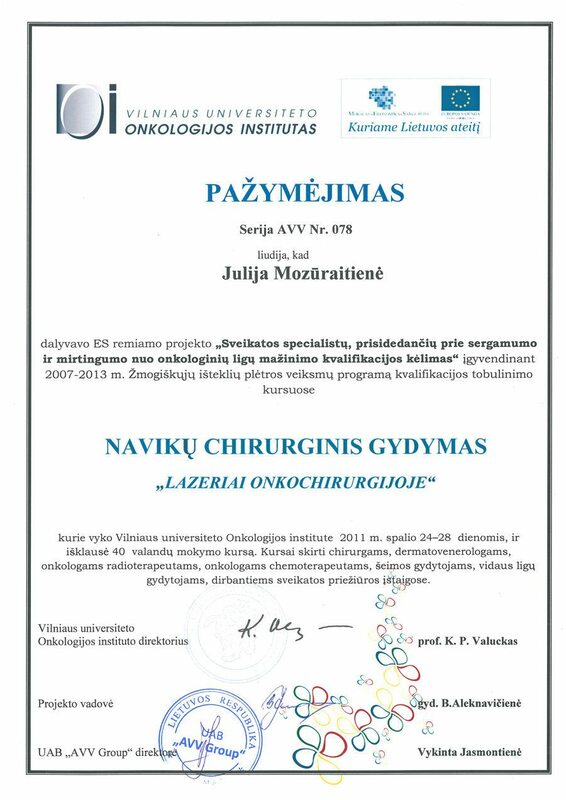 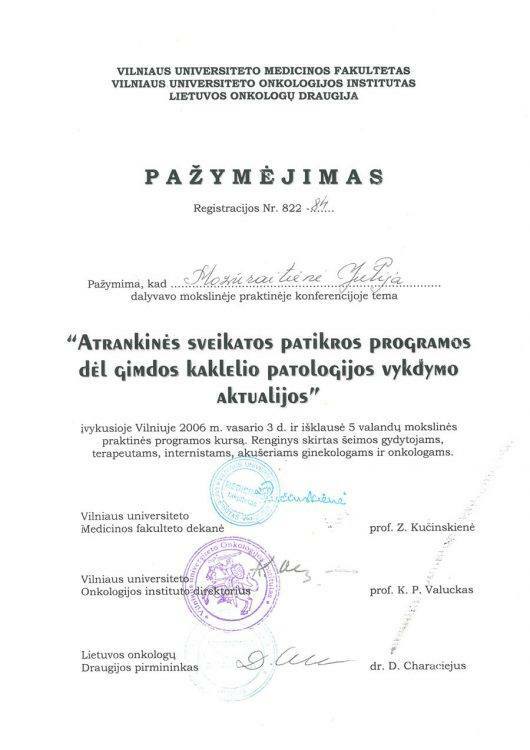 The junior research worker in the Institute of Oncology of Vilnius University in Carcinogenesis and tumor pathophysiology laboratory. 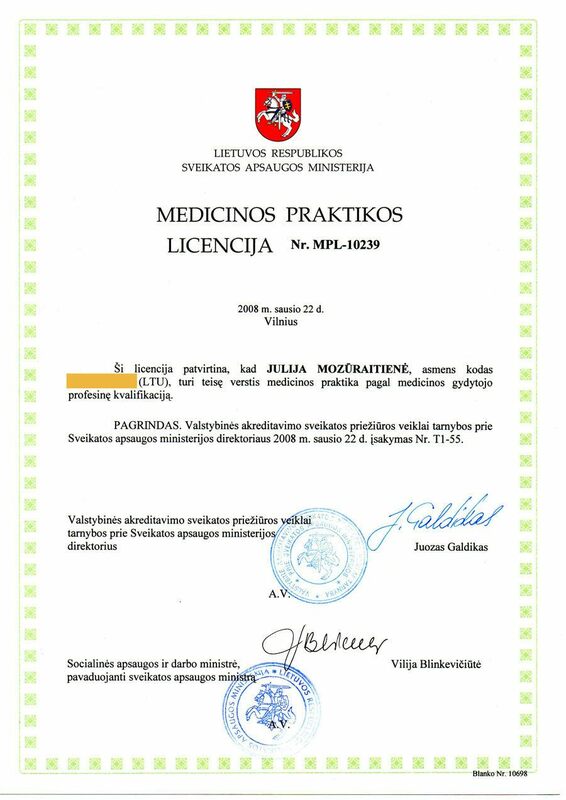 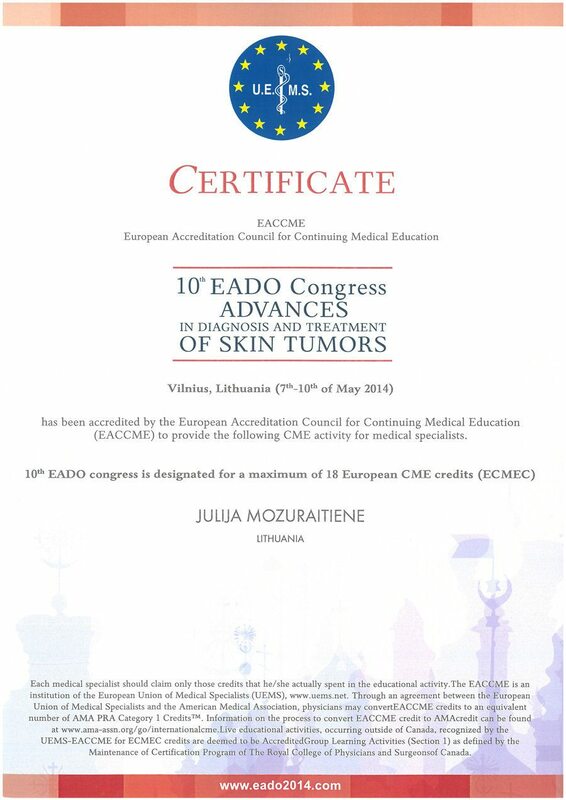 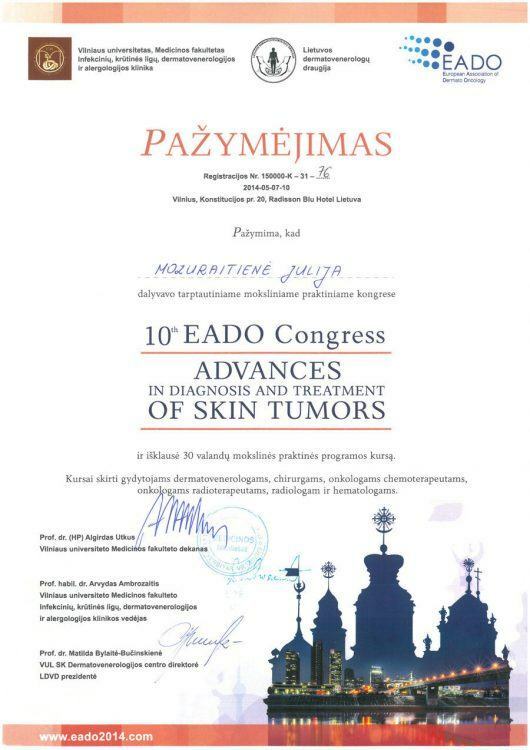 Doctor dermatologist - oncologist, Vilnius University Institute of Oncology. 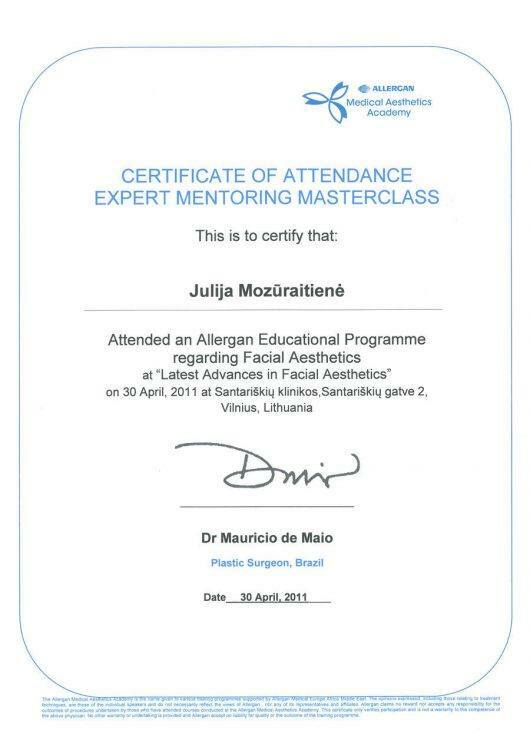 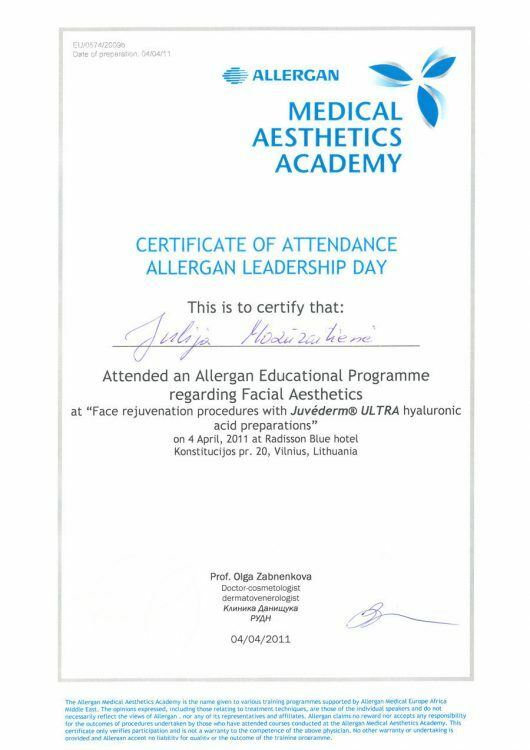 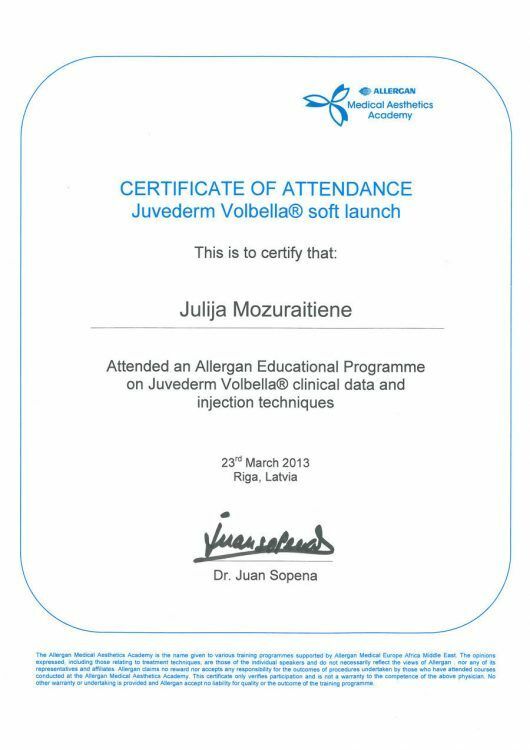 Certified coach of Allergan Aesthetic Academy.